One of the very best things about living in south London is knowing that I can hop on a train with a little train picnic and be on Brighton beach in just over an hour. That sounds like a little thing, but Brighton is my escaping place. Sometimes I need to run away from London and sit on the beach for the afternoon. Usually I don't do much other than read a book and then hop on the train home when the sun has gone down. Sometimes I spend the night in a cheap hotel but usuallyy a go on the penny falls and some fish and chips is enough for me. The train journey makes me happy. It's just long enough for book reading, watching the world go by and then dozing on the way home. I can't think of anything more lovely than this Brighton train ticket cushion by Ashley Allen. Whenever I'm feeling a little sad and wanting to hide from London, I'll give this a bit of a cuddle and think of running off to play by the sea. 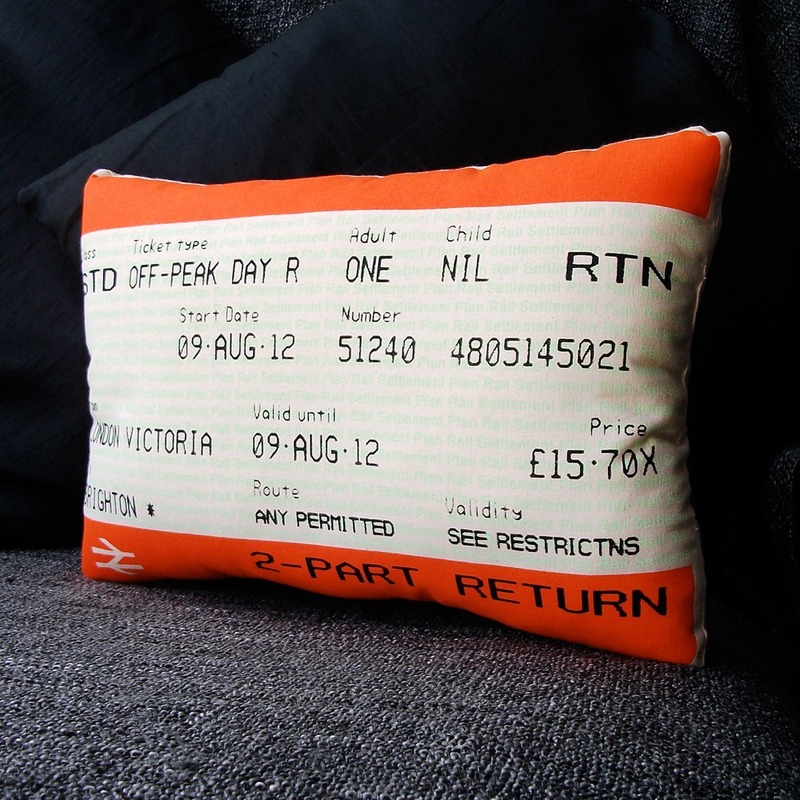 It's £28, which actually isn't much more than a return train ticket. It'll be like bringing a bit of my hiding place home.